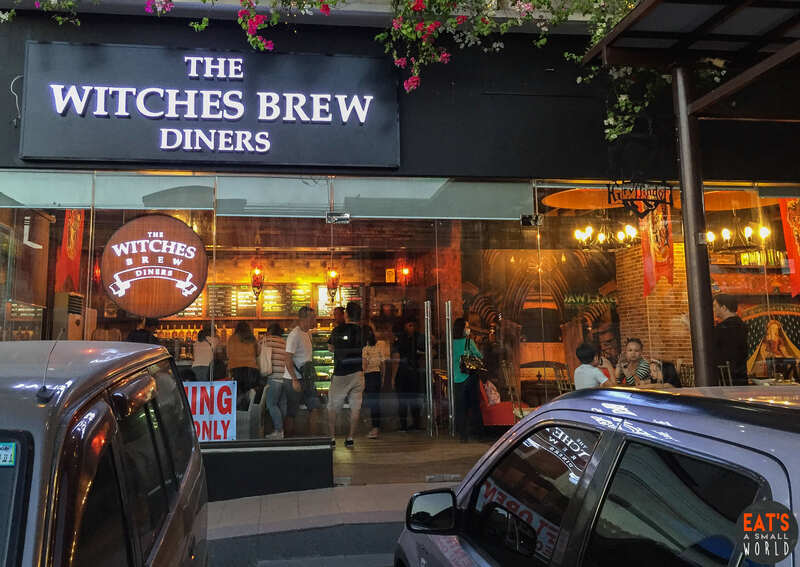 A lot of “Potterheads” (Harry Potter fans) are talking about Witches Brews Diners located in BF Homes Paranaque. It’s fun because it’s the first time we’ve heard about this idea. 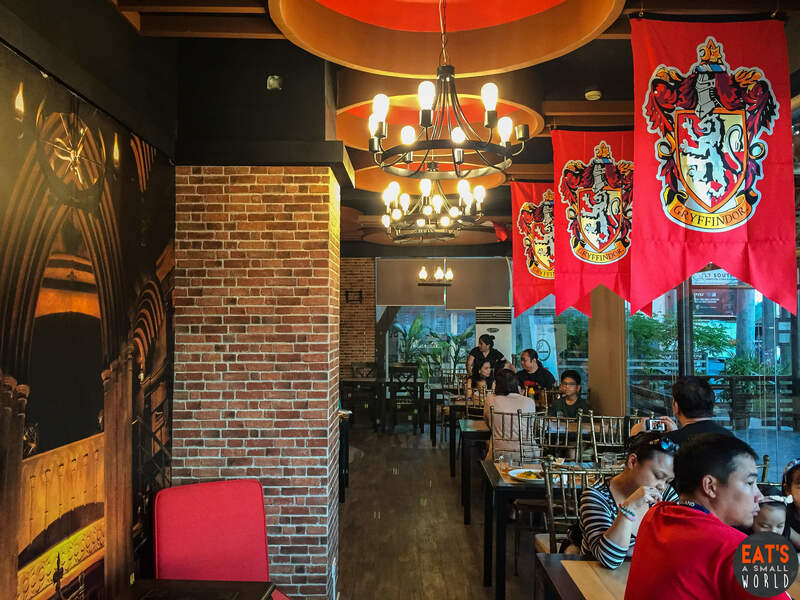 Wanna experience Hogwarts School of Witchcraft and Wizardry in real life through casual dining and drinks? Check out our full experience and discover why people from the south are so lucky to have this diner situated in their area. 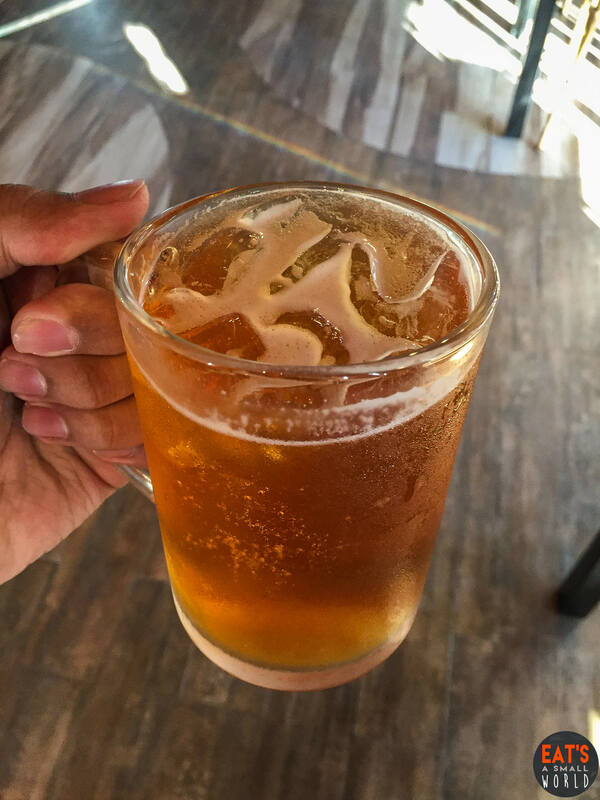 Also, did I forget to mention that they serve Butterbeer? This is the second branch of Witches and Brew Diner. The first one is a full concept of Harry Potter and Game of Thrones — an all-in-one experience. 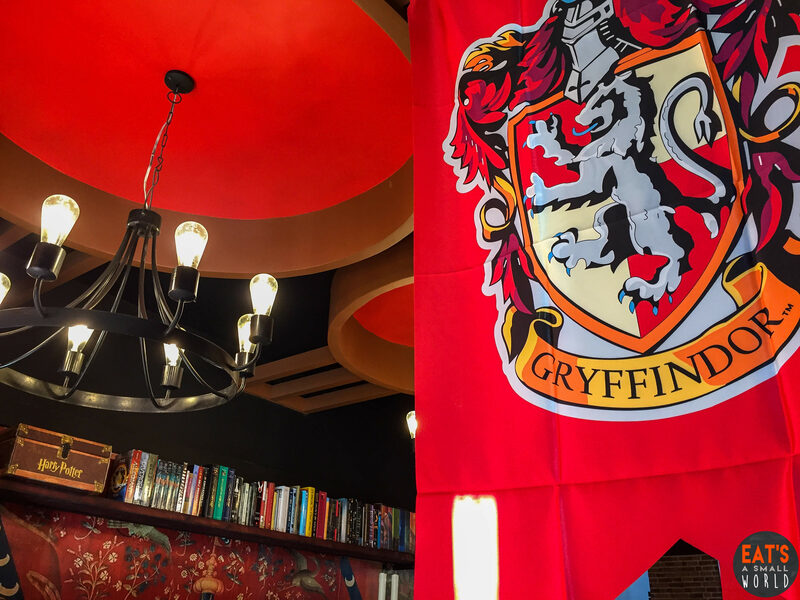 The new location’s main concept is all about Gryffindor (Harry Potter’s House/organization from Hogwarts school). If you are a Slytherin fan, don’t mention it or you’ll get kicked out – – of course that was just a joke because everybody…meaning children of all ages, kids and the kids at heart are all welcome! The place is well lit with beautiful “medieval chandeliers” and brick walls exuding a classic “English pub” ambiance. 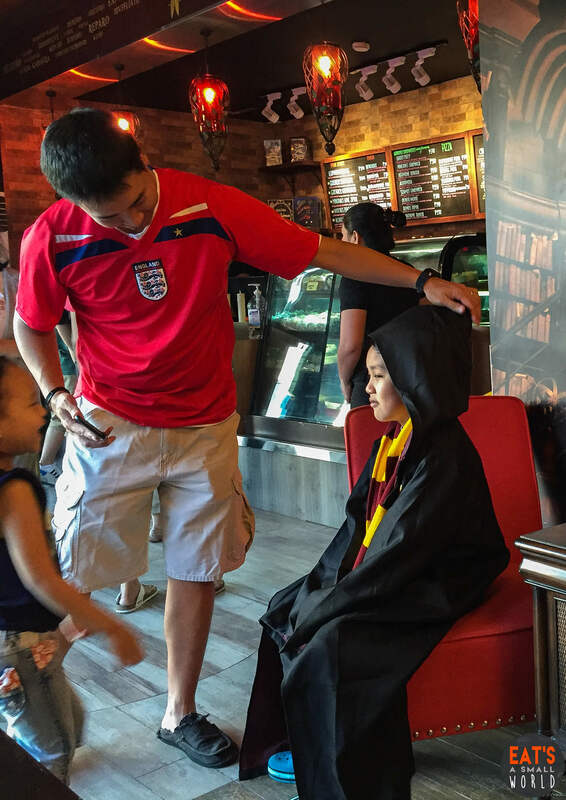 We were so happy to see kids, trying to be a real life Hogwart’s student through these Harry Potter inspired robes, complete with this yellow and red scarf. You may borrow it for free. The fire place area was one of our faves. It was perfect for taking photos wearing your “Harry Potter robe and scarf” for that Instagram and Facebook posts! 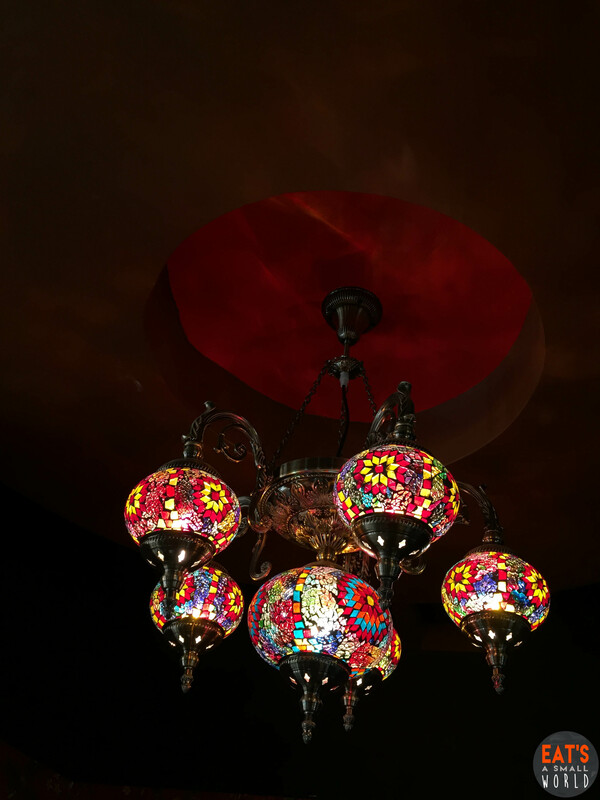 There are so many attention-grabbing details inside the resto: this tiffany lamp inspired chandelier is gorgeous. The menu is full of Harry Potter and House Gryffindor inspired food items. 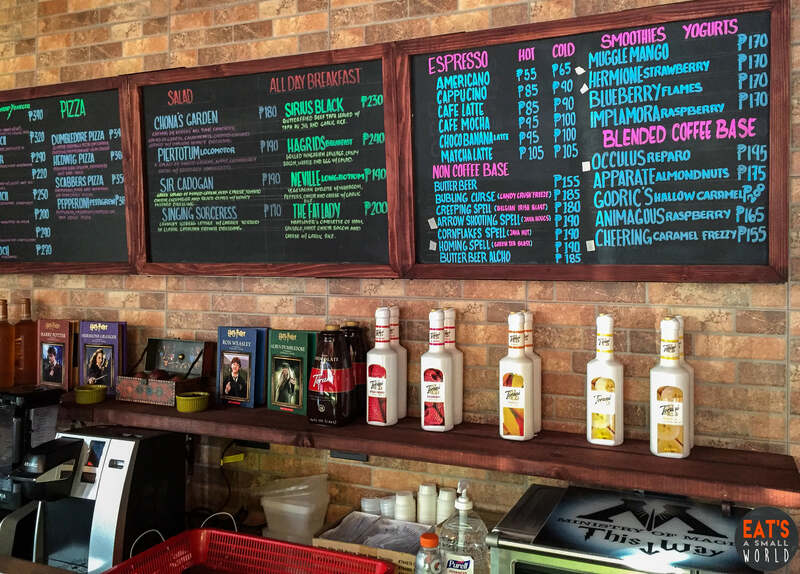 For example, they have breakfast choices such as “Serius Black” (known as Harry’s godfather who escaped from Azkaban), “The Fat Lady” (a portrait, who guarded the entrance to Gryffindor Tower at Hogwarts Castle) and “Hagrid’s Breakfast“ (the famous half-giant and half-human friend of Harry). 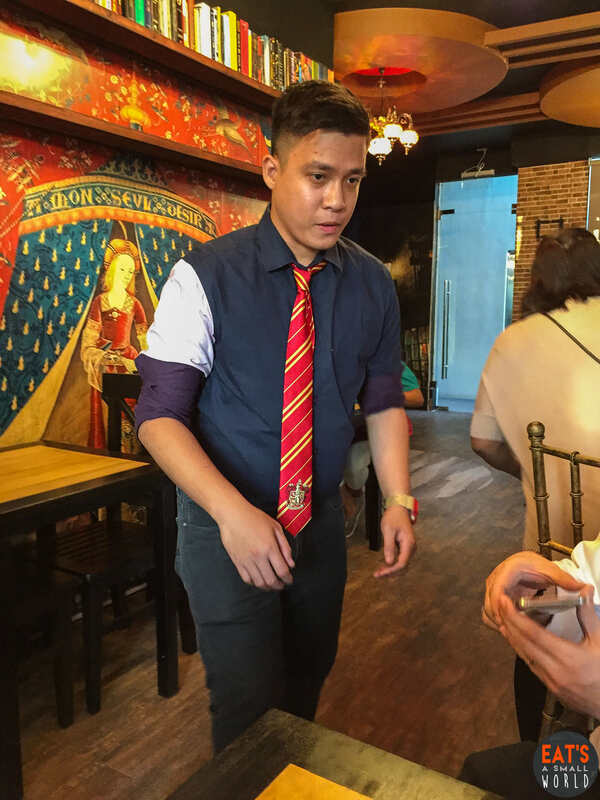 We love these Gryffindor inspired neck ties worn by their male servers. If they will sell this, we’d love to get our hands on it! We ordered iced tea for drinks. So far, we liked it because it was not too sweet. The black tea base was very evident. Check this out! 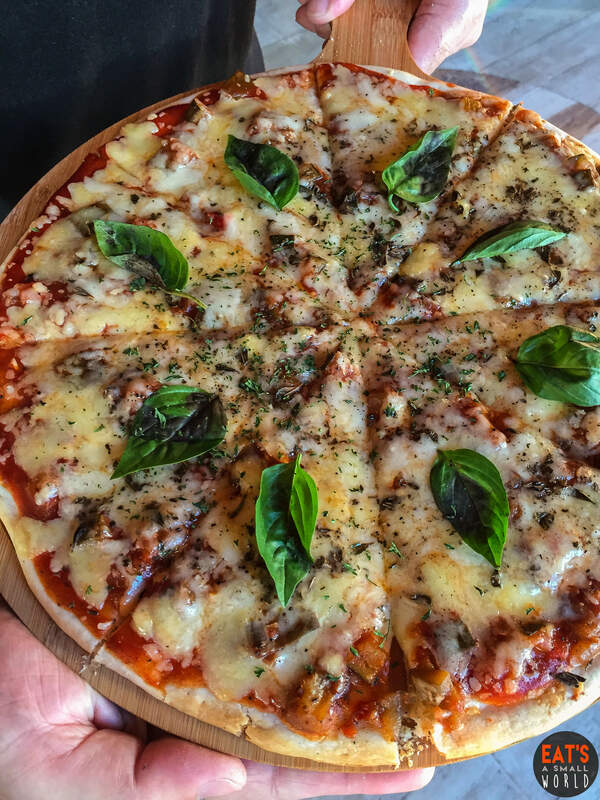 Crispy and vegetarian (Ratatouille Style) thin crust pizza that’s shareable to the whole family or barkada. It’s so tasty and we love the basil leaves on each slice which added a distinct pungent/sweet aromatic smell and taste to the pizza. Rich in tomato sauce and cheese! This one’s a winner! This is a creamy version of the famous pesto pasta. 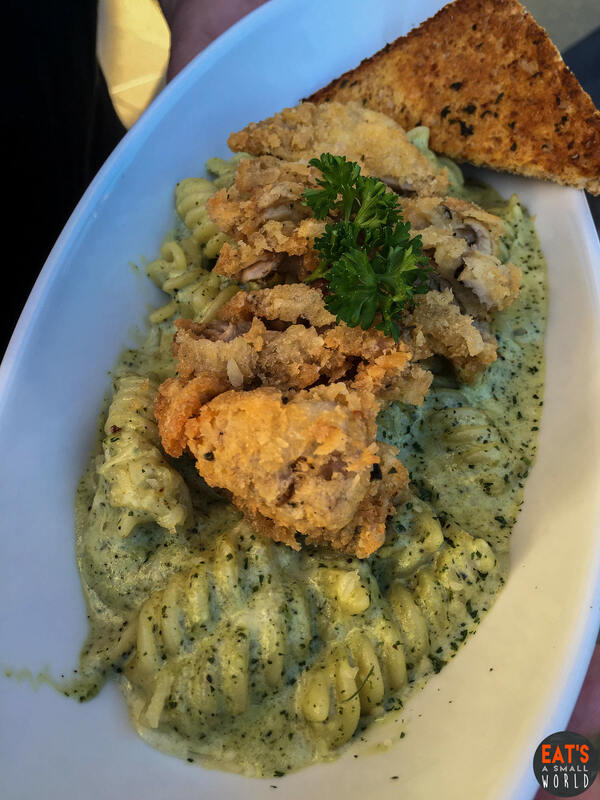 We love oil-based pesto pasta dishes, but this one stole our hearts away as it filled our palate with a rich balance of herbs and cream. Actually, if we had this at home, we will probably end up licking our plates to make sure that no sauce will be left unconsumed. Haha! The Panko crusted chicken on the top was a good addition of meat to the dish. It was also a good choice to use Fussilli pasta because the twists and turns are good for holding the rich and chunky pasta sauce. If you’re a fan of Peri Peri style grilled chicken, you will definitely love this! One thing we have noticed about the chicken: it’s so tender and juicy! 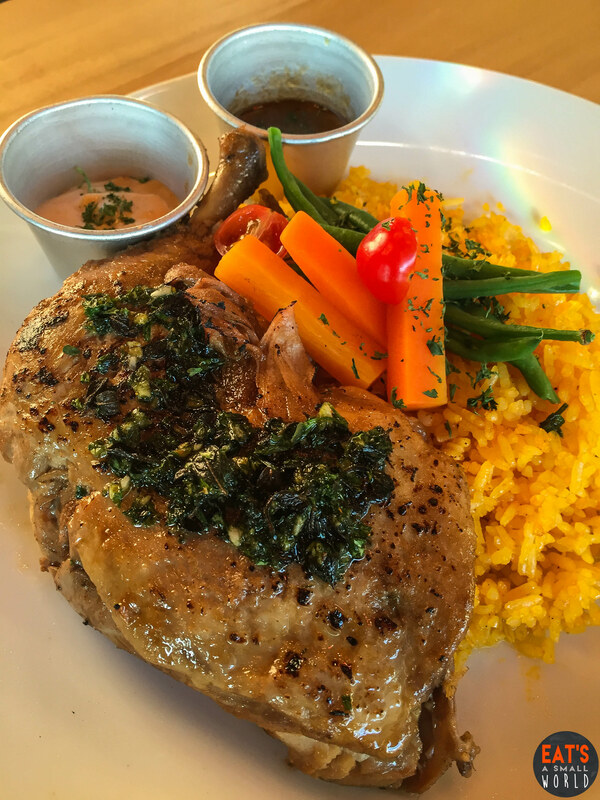 We love it when paired with Chimichurri sauce and java rice. This has been the best dish we have tried here at Witches Brews Diners. Slow-baked American Pork ribs that melts in your mouth, flavorful and smoky meat, what more can you ask for? This is a total value for money. It can be shared with up to two persons but I am not willing to share it. 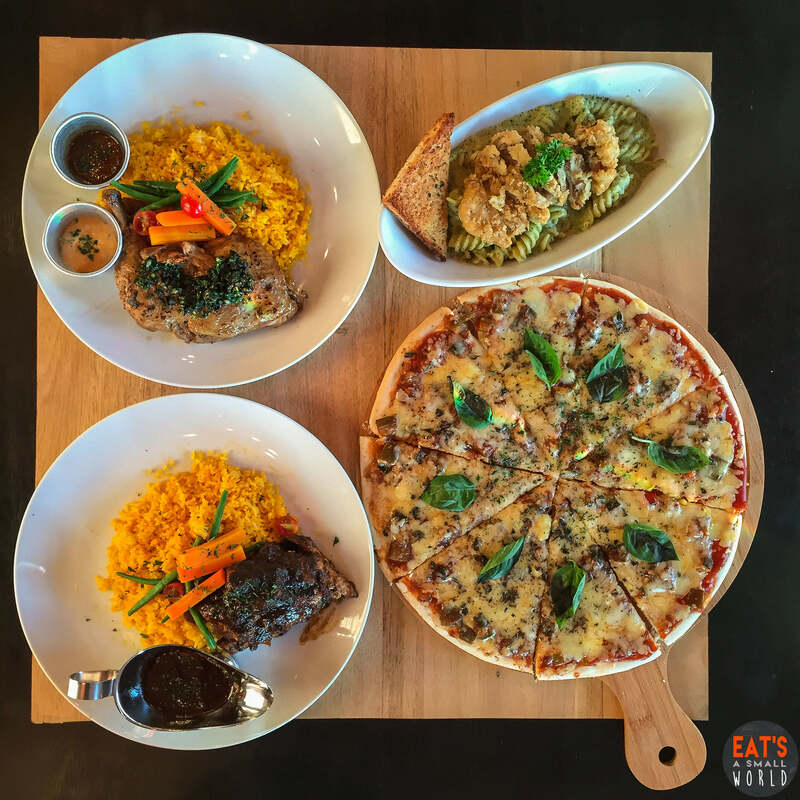 That’s how good it really is and made possible by their Executive Chef Rhon James Aguillar! 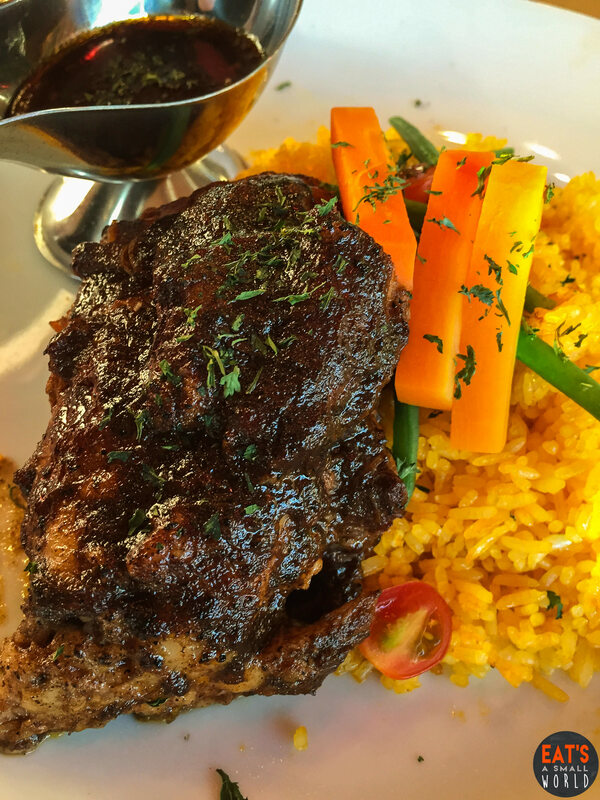 Chef Rhon as he is fondly called confided to us that “there are lot’s of restaurants serving tender pork ribs. What sets my pork ribs apart from the rest is because I believe in slow-cooked meat allowing it to release its natural flavors PLUS…cooking with a lot of LOVE”. So, we advice you to never never leave the place without even trying this one. 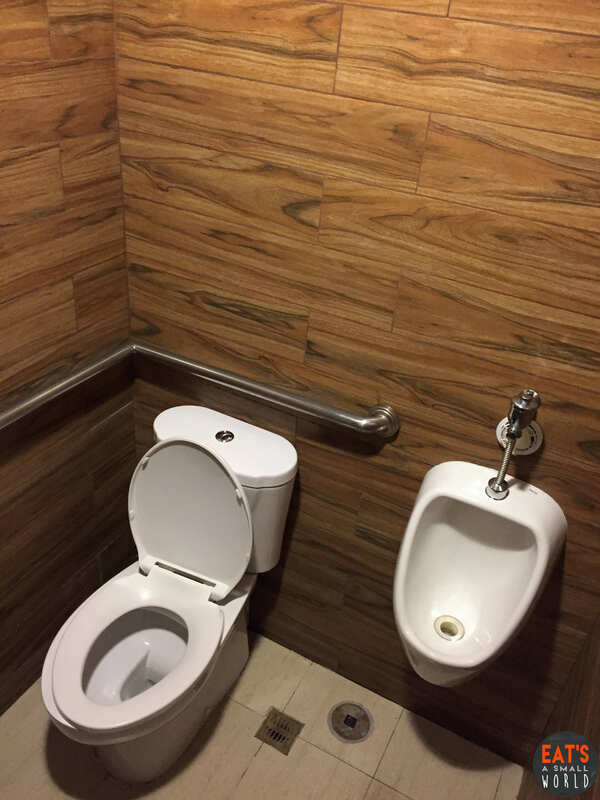 As always, you know that we at Eat’s a Small World also check the most personal place of a restaurant – – the restroom! The restroom was simple and clean with wood-patterned tiles for its walls. We heard that they have future plans for this area (more Harry Potter concepts — perhaps a magic wand store?) to be revealed soon and we can’t wait to go back and check it out. Parking space is available for up to 3 cars in front of the restaurant. The spaces usually get full before sunset but their super accommodating security guard was happy to assist us and found another slot on the other side of the building. If we’re not mistaken, there is a ample parking inside the building. Kudos for a good customer service! Even though Witches Brew Diners is not as huge as Hogwarts’ castle, bringing this opportunity to experience playful wizardry and delicious food to kids and the young at heart is a totally fresh and exciting idea. Thanks to Mr Reniel and Ms. Chona de Robles and their daughter Coleen (who happens to be 101% Harry Potter fans) for this brilliant concept that turned into a reality. Many fans are definitely happy about it. We actually came from the north side of Manila but we were glad we are able to pay the place a visit (even if we are not avid HP fans). 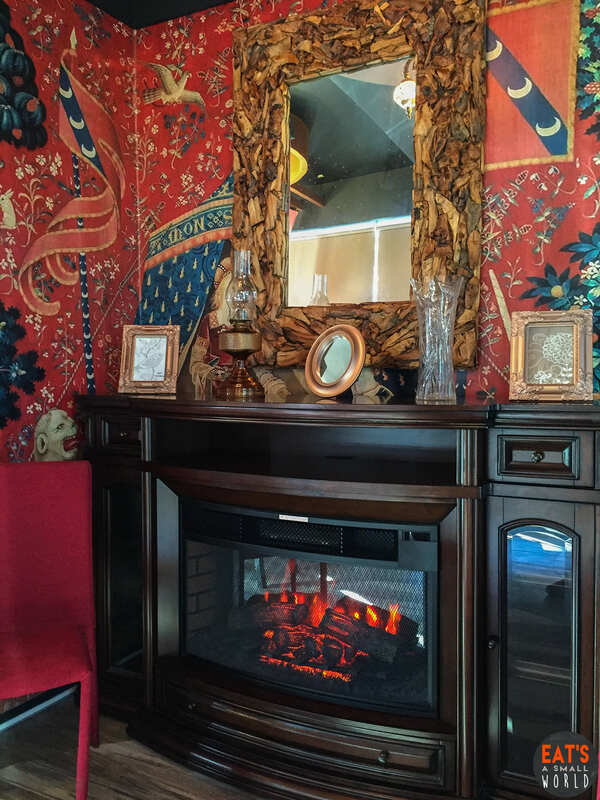 We love Witches Brew Diners because of the food, ambiance and the good vibes naturally coming out from the kids and their parents and even from the staff themselves. Actually, after this experience, we have become “Potterheads”! The desserts selection is wide but we were so full we couldn’t try any of the items on the cake display. They also offer coffee and alcoholic drinks and we will be coming back for these. Planning an Event? Hire a Catering Service!